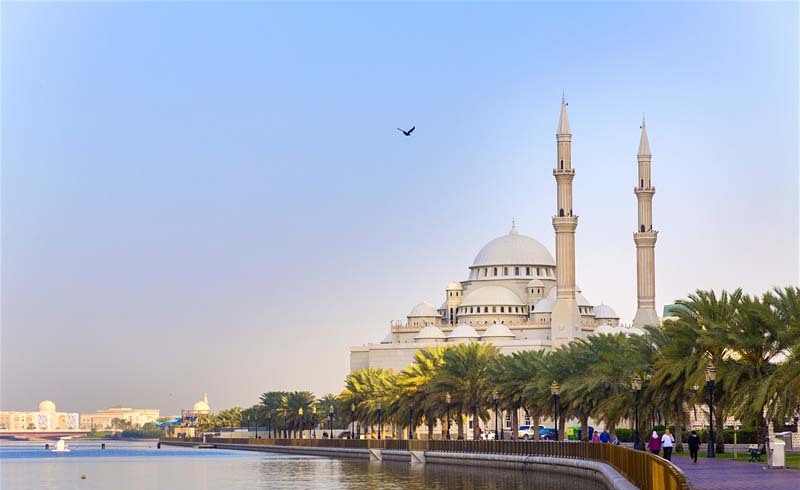 Just up the coast from Dubai, the emirate of Sharjah may look like a seamless extension of its nearby neighbour, but its vibe and spirit could not be more unique. 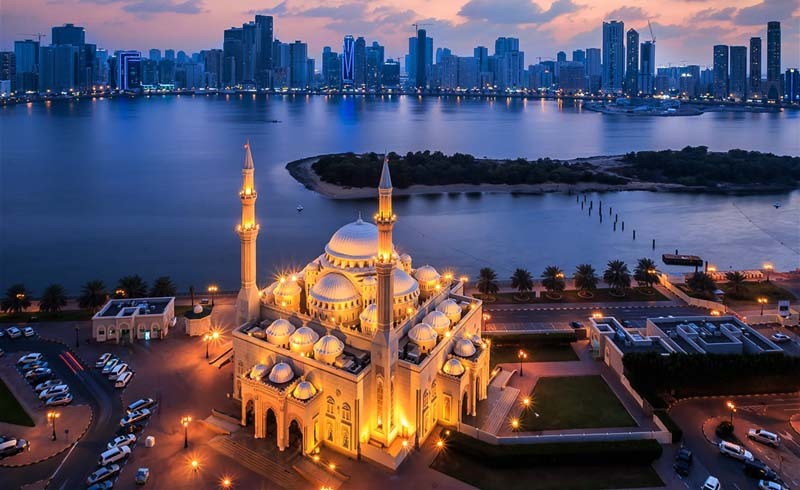 Call it a more human-scale interpretation of the next-gen city, Sharjah is a place that cherishes its heritage while shaping a distinct contemporary cultural identity. We’ve taken a closer look at what makes Sharjah tick, not limiting our exploration to the city itself but also venturing into the craggy Hajar Mountains and to the emirate’s three exclaves of Dibba Al Hisn, Khor Fakkan and Kalba on the Gulf of Oman. Here’s a roundup of our favourite experiences. While other emirates stake their culture cred on attention-grabbing ventures, Sharjah has quietly nurtured a more community-based art scene. Keep tabs on what’s hot in contemporary expression by checking out the latest exhibits organised by the Sharjah Art Foundation, which also masterminds the renowned Sharjah Biennial art expo. Meanwhile, classic and modern Middle Eastern art take centrestage in the Sharjah Art Museum, which opened in 1997 as the nation’s first art museum and recently added a wing focused on Arab Modernist works. For a survey of 1300 years of regional arts and crafts, swing by the upper floor of the Sharjah Museum of Islamic Civilization housed in a gorgeously converted former souk easily recognised by its gleaming golden dome. Rain may be a rarity in this part of the world, but not in the Rain Room where it pours perpetually. No need to unfold your umbrella, though, when walking through this surreal art installation created by Random International, a duo of German-born experimental artists based in London and Berlin. 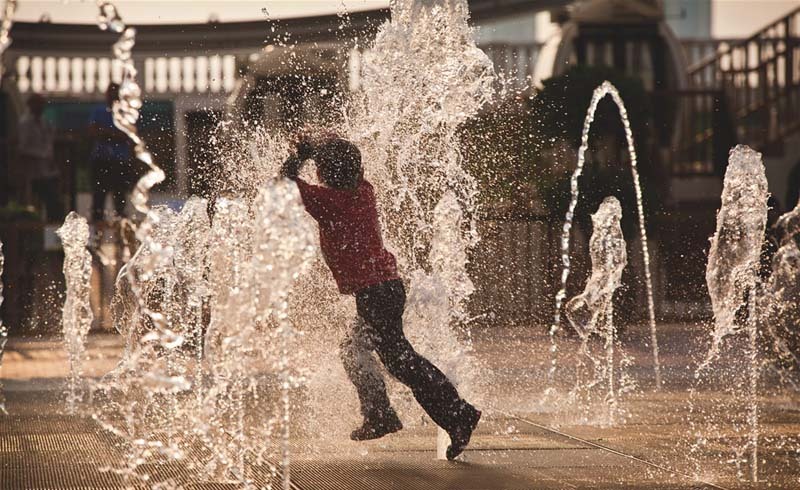 Using motion sensors installed inside 3D tracking cameras, the cascading water pauses whenever a human body is detected, creating the ultimate photo-op. After hugely successful stints in London, New York and Los Angeles, the piece has now found a permanent residency in a suitably edgy new space sponsored by the Sharjah Art Foundation. 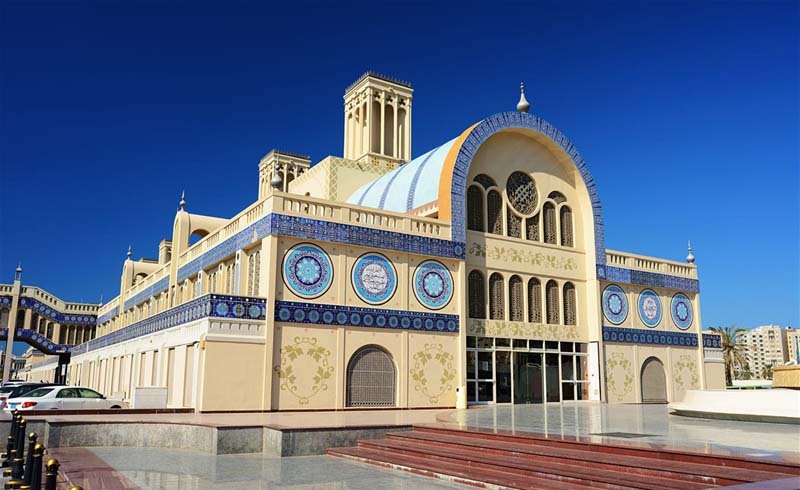 Sharjah brims not only with high-brow culture but also with wallet-friendly family fun. Canalside Al Qasba lures with a lively mix of cafes, carousels, boat rides and shops. On the southern edge of Khalid Lagoon, Al Majaz Waterfront is famous for its whimsical dancing fountain that delights hearts while lighting up the night sky. Also in the lagoon, tranquil Al Noor Island delivers a respite from urban velocity. Kids love the huge playground and the Butterfly House but it’s also fun to just wander around the extensive gardens in search of snap-worthy public sculptures. Shopping in Sharjah is less about giant malls than about traditional souqs. The largest is the Central Souq, which crams 600 stores into two parallel buildings embellished with windtowers, arched windows and blue tiles. Ground floor stalls flog clothing, jewelry and watches, while those upstairs have more regional flair with carpets, lamps and antiques. Sharjah’s oldest bazaar, the labyrinthine Souq Al Arsah is a treasure chest overflowing with pashminas, Bedouin jewelry, J-shaped khanjars (daggers) and other souvenir hunters’ trophies. The newest kid on the block is Souq Al Shanasiyah, a historical marketplace demolished decades ago and now resurrected atop its old foundations. Though compact, it has a reputation for high-end local brands such as Hamayem (perfume), 1971 (regional designers), Al Feryah (sweets) and Dukan Namlet (vintage soda). Archaeologists have been sifting through the shifting sands of Sharjah for well over 40 years, unearthing artefacts and skeletal remains going back to paleolithic times. The most spectacular finds get the spotlight at the Mleiha Archaeological Centre, a sinuously curving, sandstone-and-copper building that wraps around a circular Bronze Age tomb. About 60km east of Sharjah, the centre also doubles as the launch pad for desert adventures, be it by 4x4 or bicycle, on horseback or on foot, that help you connect more deeply with the desert mystique. 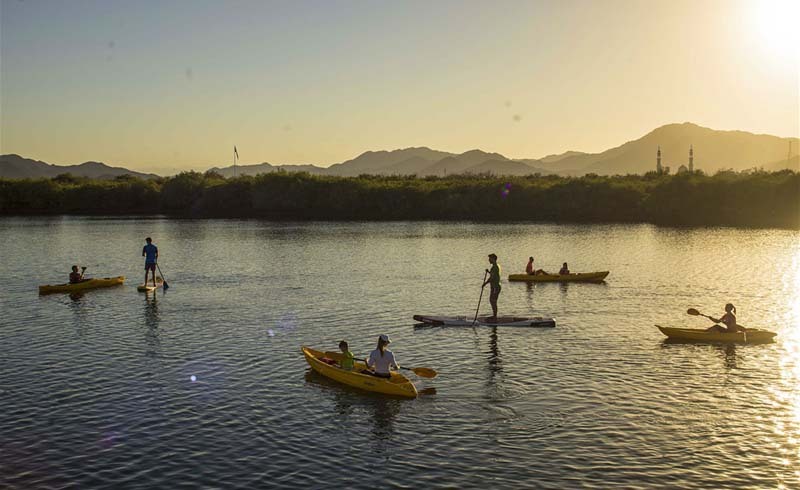 A Sharjah exclave on the border with Oman, Kalba lures tens of thousands of visitors with its serene pastiche of lagoons, mangroves and the Gulf of Oman. These ‘travelers’, though, don’t arrive by jet but by their own wing-power. Kalba, after all, is one of the region’s top bird breeding grounds, even showing up on the dial of such super-rare species as the White-Collared Kingfisher and the Sykes’ Warbler. The area is being slowly developed into an eco-tourism destination where you can kayak gently through the mangroves, observe birds and endangered turtles, or simply chill in the newly opened luxe Kingfisher Lodge boutique hotel. Sharjah’s east coast exclave of Khor Fakkan is a bustling metropolis hemmed in by a sandy crescent beach and a palm-lined promenade from where you can watch a parade of container ships steering into the port. Since spring 2018, a new highway links Sharjah and Khor Fakkan through the rugged Hajar Mountains, cutting the travel time down to under an hour. Fourteen years in the making, it’s a spectacular feat of engineering that passes through five tunnels (the longest clocking in at 2.7km) and a sleek rest area overlooking mountain-rimmed Al Rafisah Dam. 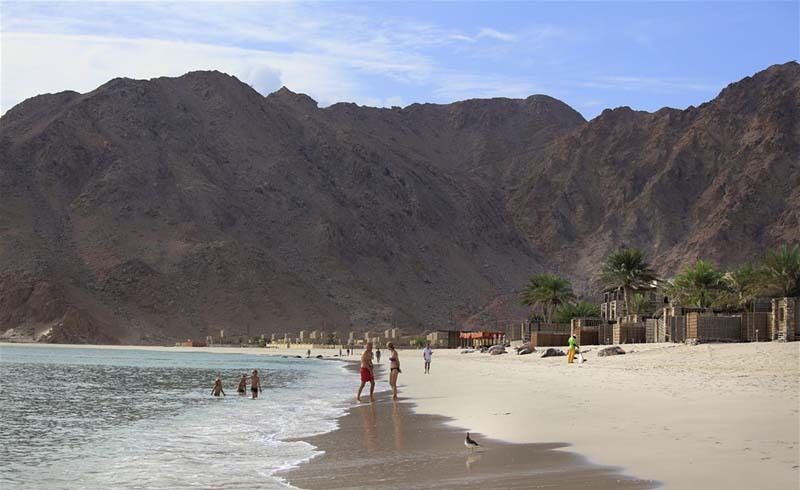 Sharjah’s northernmost east coast exclave, Dibba Al Hisn, accounts for one third of the coastal town of Dibba, with the other two administered by the Sultanate of Oman and the UAE emirate of Fujairah. It occupies a scenic setting at the foot of the Hajar Mountains, hugging a sweeping bay where fisherfolk set out to sea in timeless fashion. Looking distinctly peaceful today, Dibba was actually the site of one of the biggest battles in the Ridda Wars that sought to establish Islamic rule across the Arabian peninsula after the death of the Prophet Mohammed. More than 10,000 people perished here in 632 AD in fighting that pitted Abu Bakr, the first caliph, against rebellious local tribes. A cemetery outside of the town commemorates this pivotal moment in Arab history.